In honor of National Safety Month - Emergency Preparedness Week, please take an opportunity to watch this video and learn how to access National Fire Protection Association (NFPA) Standards for *free* from the NFPA website. I just downloaded a free pdf copy of the NFPA 1600, " Standard on Disaster/Emergency Management and Business Continuity Programs: and am excited to review it. Standard 1600 has chapters on program management, planning, implementation, training and education, exercises and tests, and program maintenance and improvement. My favorite parts (so far) are in Annex C: Self-Assessments for Conformity with NFPA 1600 and Annex D: Plan-Do-Check-Act (PDCA) Cycle. 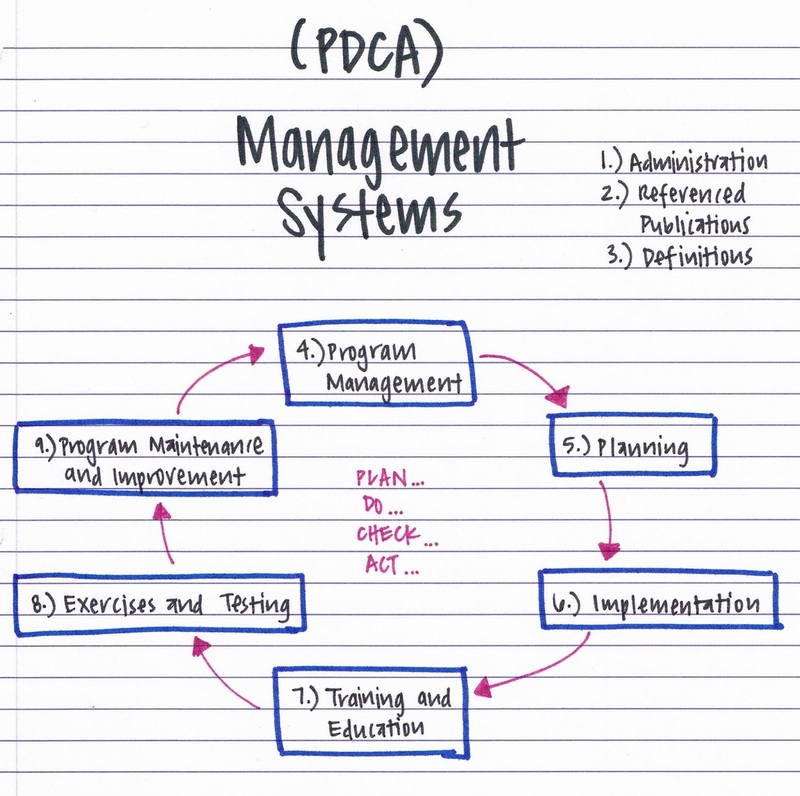 The PDCA cycle is particularly helpful in management systems. Here's how the NFPA depicts the PDCA cycle in Annex D.
NFPA describes the PDCA cycle as a four-step process designed to improve business processes and quality assurance programs. It's also referred to as the "change cycle." ASQ, a global quality community, provides helpful case studies and descriptions about the PDCA cycle at their website. Check. Review the test, analyze the results and identify what you�ve learned. Hopefully you learned something useful about quality improvement and emergency preparedness in today's post.